Technologies that reduce Noise Vibration and Harshness (NVH) levels are becoming increasingly crucial in the automotive market. This is due to both evolving consumer expectations for a heightened sense of luxury, and the continued emergence of hybrid and electric vehicles. Ferodo explains. The lack of traditional powertrain NVH associated with the internal combustion engine has led to requirements for quieter, smoother systems, especially for brakes. 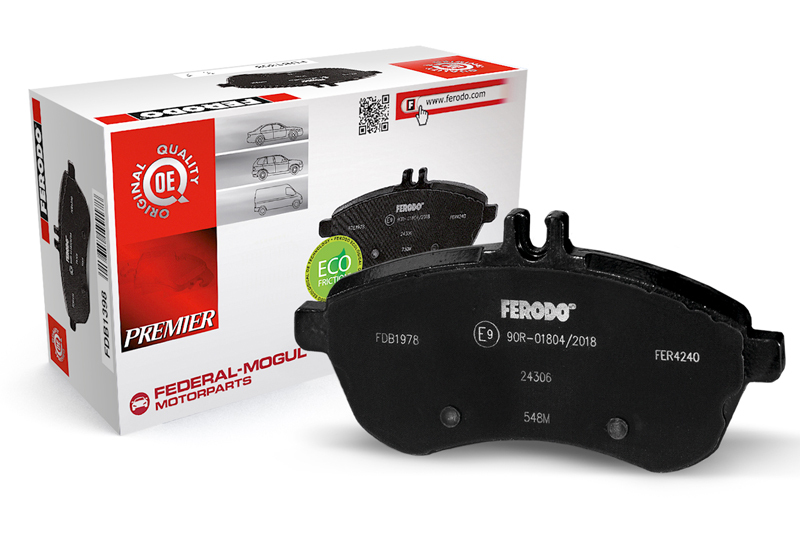 In response, Federal-Mogul Motorparts has announced the launch of a new range of noise-reducing directional brake pads under its Ferodo brand. The new asymmetrical brake pads are designed to contact the disc at an angle, significantly reducing the propensity for vibration and noise without negatively impacting performance. This is done in two ways depending on the application: a chamfered friction surface, or a cut-out of the noise reduction shim on the backing plate. The new range currently consists of 39 part numbers, covering relevant vehicle applications. Both new Ferodo directional brake pads have been designed for ease of identification and fitment. Depending on the application, pads are marked with either an arrow or letter to indicate on which side of the vehicle they need to be mounted. 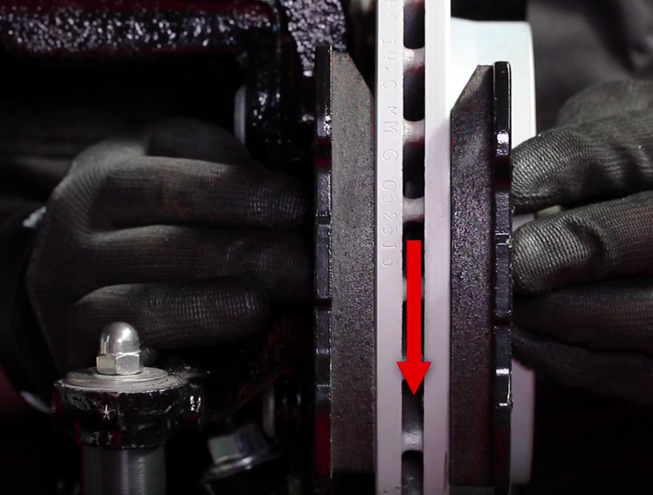 For pads equipped with a chamfer, the largest chamfer edge is presented to the leading edge of where the pad and disc first come into contact. For pads fitted with a crescent or half-moon cut-out in the noise reduction shim, the modified edge should be presented to the leading edge where pad and disc first come into contact. Ferodo has designed its latest range with fitters and technicians in mind. As such, it has produced an installation video to further simplify the process, which can be viewed on YouTube.